Cities across North America are pulling out the stops to become the home of Amazon's second headquarters. The efforts to lure the tech giant to town have been both big and creative, from sending a giant cactus to CEO Jeff Bezos to offering big tax breaks. A Georgia town even said it would de-annex some of its land and name it the city of Amazon. Cities and regional economic development organizations have been invited to submit proposals, due by October 19. Amazon has detailed a list of preferences, such as a suburban or urban area with more than 1 million people and a place that will attract technical talent. "We're energized by the response from cities across North America who have expressed interest in hosting Amazon HQ2. We invited cities to think big and we are starting to see their creativity," Amazon spokesman Adam Sedo told CNN Tech. Here's how cities are enticing Amazon to town. In an effort to bring HQ2 to Tucson and Southern Arizona, economic development group Sun Corridor loaded a 21-foot Saguaro cactus onto a truck to deliver to Amazon (AMZN). "We wanted to make sure Mr. Bezos and his team notice us and send a message of 'we have room for you to grow here for the long term,'" said Sun Corridor CEO Joe Snell in a statement. "We'll work with Governor [Doug] Ducey and the Arizona Commerce Authority closely to submit a strong case." But Bezos won't be planting the cactus outside Amazon's Seattle campus anytime soon. The company tweeted that it couldn't accept gifts and donated the cactus to the Arizona-Sonora Desert Museum. 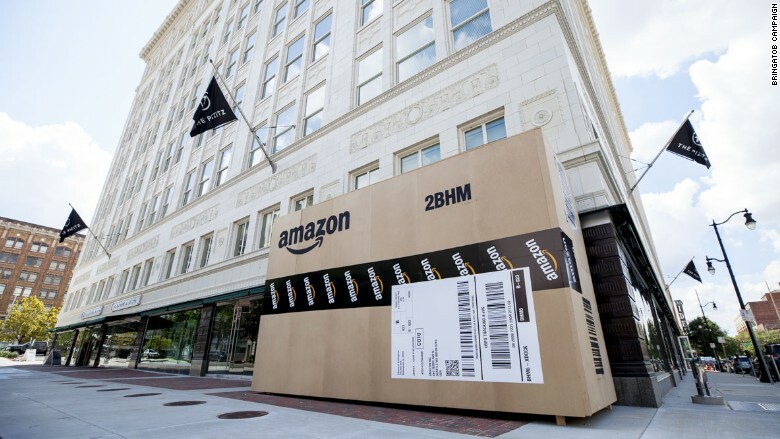 Birmingham, Alabama has installed three massive Amazon delivery boxes around the city to coincide with the launch of Mayor William Bell's formal bid for the second headquarters. The city plans to add more boxes, too. A giant Amazon box in Birmingham. "We needed to do something very dramatic to get the attention of Amazon and the public to let them know we're serious about it," Mayor Bell told CNN Tech. Amazon, Georgia? Earlier this week, the Stonecrest City Council in Georgia voted to de-annex 345 acres of its land if selected for Amazon's second home. The new area would be called the city of Amazon. "We had to have a differentiator," Stonecrest Mayor Jason Lary told CNN Tech. "What's a better opportunity than to give a company the size of Amazon their own city?" Stonecrest, which officially became a city in January, is about 20 miles from Atlanta. It has a population of 53,000. "What we're offering [Amazon] is the ability to control their brand and their city forever," Lary said. 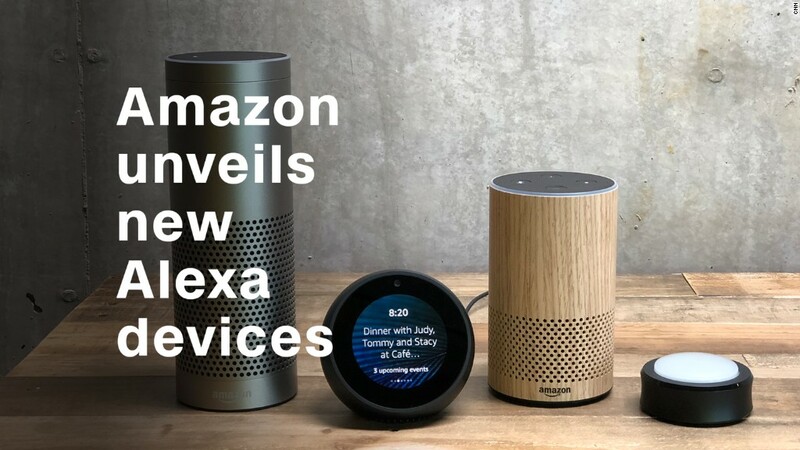 Mayors from Danbury, Connecticut, Frisco, Texas and Washington D.C. have enlisted Alexa's help. In separate videos, each mayor asked Amazon's voice assistant where the best place for the company's second headquarters is, and Alexa answered with their respective city name. In one video, Washington D.C. Mayor Muriel Bowser mentioned Bezos already has a home in the District. (Bezos is also the owner of the Washington Post). "They want to be on the East Coast right? It makes sense. They have the West Coast Washington and the East Coast Washington," Bowser said in the video. Last week, Chicago Mayor Rahm Emanuel and Illinois Governor Bruce Rauner announced a committee to bring Amazon's new home to the Windy City. The group is co-chaired by chief executives like Oscar Munoz, head of United Airlines (UAL), and Miles White, who leads healthcare company Abbott (ABT). Overall, the committee is made up of over 600 business leaders from the financial, tech, arts and culture, civic and education sectors. A source close to Mayor Emanuel previously told CNN Tech the mayor has spoken "several times" with Bezos about the second headquarters. New Jersey could offer Amazon $5 billion in tax breaks spread out over 20 years. That is, if a new proposed law is passed. The current law in the state caps incentives at $5,000 per job created. But a proposed legislative change for "transformative projects" -- such as Amazon's new headquarters -- would increase that to $10,000 over 20 years, according to a spokesman for Governor Chris Christie. The governor said the new law, which has not yet been crafted in detail, would be limited to projects of this magnitude. Amazon has encouraged cities to team up on one bid -- and some are indeed joining forces. 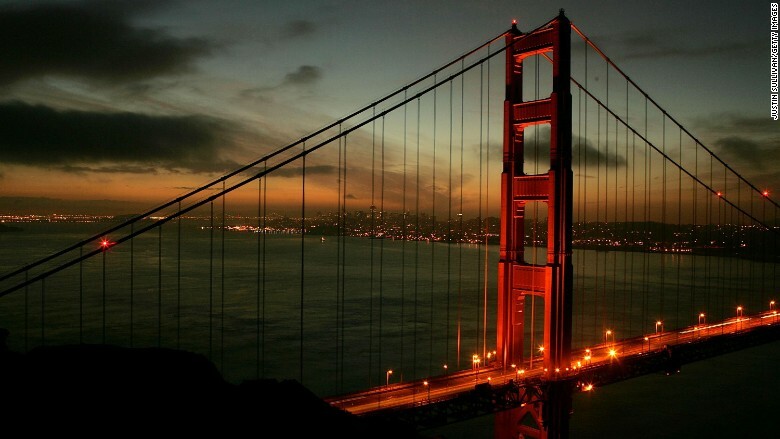 The Bay Area Council, a public policy advocacy organization, is coordinating a joint proposal with California cities like Oakland, San Francisco and Fremont. A spokesperson for the group said it didn't yet have details on an incentive package. "We won't be including any cacti. But we may throw in a pinot," the spokesman joked. A team from Philadelphia, including developers and representatives from the Mayor's Office and the Chamber of Commerce, flew to Seattle last week to meet with people "intimately familiar" with Amazon's culture to better prepare a bid, according to a spokeswoman for Philadelphia Mayor Jim Kenney. She noted that the group did not meet with people who are making decisions on the bid. "The business community in Philadelphia has not been more excited about anything in the time I've been here," said Michael Araten, the CEO of toy company K'NEX, who also sits on an executive committee for the city's Chamber of Commerce. Meanwhile, hundreds of students from the University of Pennsylvania's Wharton business school are participating in contests hosted by the school for the best HQ2 proposal. New York City Mayor Bill de Blasio told reporters that he's never shopped on Amazon before, but that doesn't mean his city isn't interested in hosting Amazon's second headquarters. "I have never ordered from Amazon. That's no disrespect to Amazon. God bless Amazon. I believe in bricks-and-mortar," de Blasio said. Despite never using the platform, his administration is working on a proposal for the second headquarters, he said. 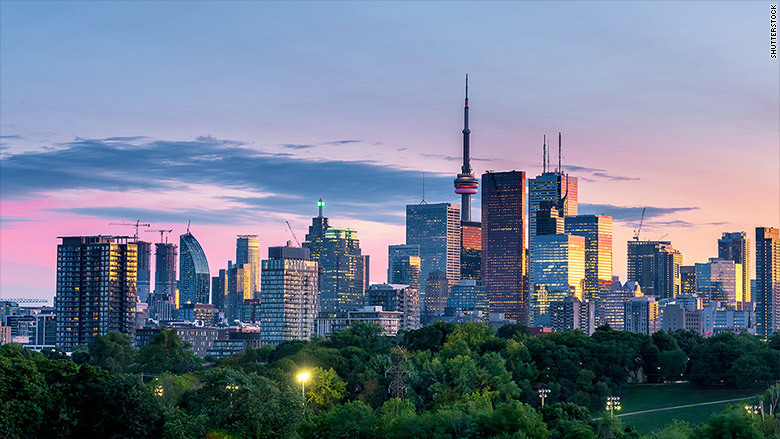 Canadian cities such as Toronto and Vancouver are also throwing their hat into the ring. These places could be especially attractive given uncertainty surrounding immigration in the U.S., according to Ravi Madhavan, a professor of business administration at the University of Pittsburgh and an expert in corporate strategy. "If [Amazon] wants to hire tens of thousands of tech employees, they have to think be thinking about the visa environment. [Canada] will give them a terrific hedge," Madhavan said. A spokeswoman for Toronto Global, a firm putting together the Toronto region's bid, also touted Canada's immigration policies. "Our open immigration policies make it easier for companies to gain access to global talent, and our inclusive and tolerant society makes Canada and the Toronto Region a top choice for international students," the spokeswoman said. A spokeswoman for the Vancouver Economic Commission made a similar argument. "Canada's immigration system, with a two-week turnaround time for tech workers' visas, is incredibly welcoming," she said. Pittsburgh could be a strong candidate for the new facility. It's already a major testing ground for self-driving cars and robotics. Meanwhile, tech companies like Apple (AAPL), Google (GOOG) and Facebook (FB) already have offices in Austin. "It's a really fun thing to watch. At the end of the day, I think it will be a positive both for [Amazon] and the cities competing," Madhavan said. Only one city will be able to host the corporate headquarters, but Amazon continues to expand with new warehouses and facilities. Cities who aren't chosen could potentially be considered for other facilities later on. "Even if a city doesn't get this, it's a good thing to be in front of Amazon's management to convince them about the strengths of their city," Madhavan said. "It's not the last major location position Amazon will be making."